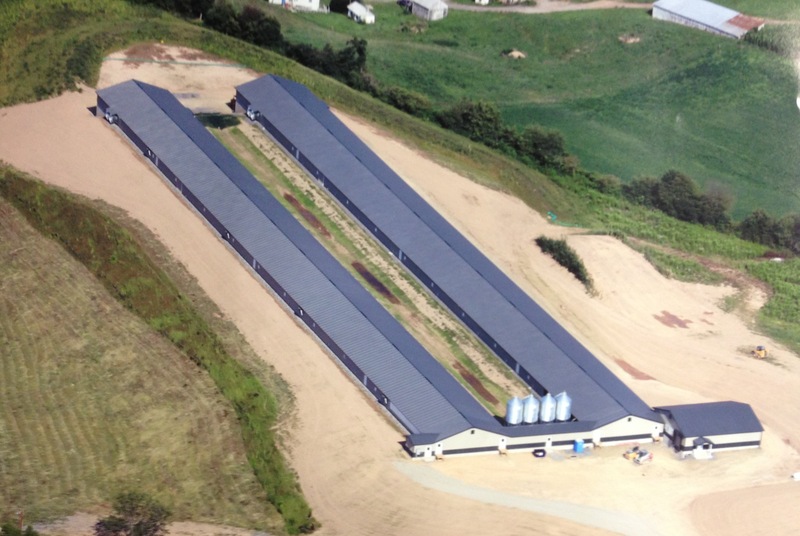 Selinsgrove, PA, Union Township, Snyder County, Pennsylvania. 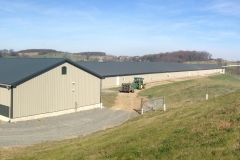 Red Barn assisted with the necessary permitting for a client to construct a new poultry operation in Union Township, Snyder County, consisting of two (2) 46’ x 533’ poultry barns, two (2) 46’ x 28’ manure storage barns, a 10’ x 42’ work room, a 46’ x 48’ egg room, a 20’ x 12’ mortality compost building, gravel driveway and turnaround areas, and stormwater management controls. 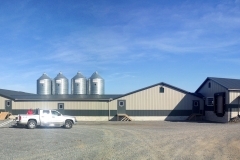 Red Barn wrote plans stormwater management controls designed in accordance with the DEP NPDES stormwater management requirements. - A rock construction entrance will be installed at the entrance to the disturbed area. - One (1) sediment trap and three (3) landscape restoration areas will filter sediment-laden runoff from the project site. - Swales will be lined with soil amendment and erosion control matting and permanently stabilized. - Permanent seeding will be used to stabilize all disturbed areas which will not be stabilized with gravel.